Teaching African Women in Cinema, Art and Culture – Part 4 explores the themes “women’s voices” and “women’s stories” and the ways in which they are contextualised and problematized. The objective of the weekly critical reflection paper was to make connections on the readings, discussions, lectures and visuals as they evolved from week to week, critically engaging the course content. The critical reflection paper was a space within which students worked through the concepts, theories, questions and difficult issues that were addressed. I found this exercise to be a very satisfying activity, as it was a way to interact directly with students, responding to, commenting on their reflections and dialoguing with them via email communication. Under the themes “Women’s voices” and “Women's Stories, Experiences and Realities” students were exposed to myriad creative expressions and practices based on the conceptual framework of “the plurality of African women’s voices”: that African women are not a monolith. This notion became the leitmotiv of the course, as students incorporated it into their evolving knowledge and understanding of African women experiences. Tunisia: Nadia El Fani: "In politics it’s alright to lose"
One may note that the selection of women spans the continent and encompasses the diversity of languages and cultures, thus reflecting a cross-continental perspective. Excerpts of their work were presented to contextualise the ideas and examples explored and examined during the interviews. The storyteller, an identity visible across the artistic experiences of African women, has its origins in the deep-rooted oral traditions of most African societies. What stories do African women tell? How do their life experiences impact their art and choices? How do the realities of the societies where they are born or in which they navigate reflect in their art? These questions were addressed through readings of the selected interviews noted above and the focus on four artists that follow. - the late singer Cesária Èvora (Cape Verde). Chimamanda Ngozi Adichie: What is the danger of a single story? "Werewere Liking at the Villa Ki-Yi". Peter Hawkins. African Affairs, Vol. 90, No. 359 (Apr., 1991), pp. 207-222. Cesária Évora: Beyond exotica and nostalgia, telling stories through song. "Cesária Évora 'The Barefoot Diva' and other stories". Carla Martin, Transitions, Issue 103, 2010 pp. 82-97. The session began with excerpts from Chimamanda Ngozi Adichie’s talk, warning of the danger of a single story. How a single story limits, stereotypes, thwarts the notion of multidimensionality, encourages the monolithic idea. Her admonishment had unexpected results, leading into a class discussion during which students gave examples of their own experiences of “the single story”. Not specifically about Africa or African women; but rather like Adichie, when realizing that they had viewed someone through a single lens, based upon an incomplete or distorted story. This lesson became an epiphany, a learning moment. While Kebedech Tekleab uses her brush and poems to relate her story of internment as a civilian prisoner, her story becomes a universal one, she traverses borders beyond her own experiences connecting with, concerned about, the universality of human suffering. She is not merely a former African civilian prisoner, but a person among others in the world who endured suffering and has overcome it through creativity and art. As a multi-disciplinary artist Werewere Liking defies artistic categories, as well as takes a critical and committed position regarding culture, language and gender. Her story unfolds as a multi-layered, cross-disciplinary visual, performative text. Cesaria Evora’s role as cultural ambassador challenges the prevailing image of her as the “barefoot diva of the islands” and the stereotypical “mother Africa”, her songs relay her myriad stories of love, life, dreams and hope. In her critical engagement with the theme of women’s multiple voices and stories, student Jenna Breslin '16 (Denison University) had this to say in her critical reflection: All four artists— Chimamanda Achidie, Werewere Liking, Cesária Evora and Kebedech Tekleab—use diverse forms of art, language and connection to conquer the danger of the “single story” that threatens to drown out the voices of diversity in understandings of African culture and the human condition. Instead, by crossing national and ethnic boundaries and connecting individuals based upon human commonalities of emotion and experience, instead of separating them upon lines of the stereotyped “single story,” we see how the works of these African women apply dignity and honour to our understanding of Pan Africanism and African women, not as a monolith, but as an expansive spectrum of experiences. 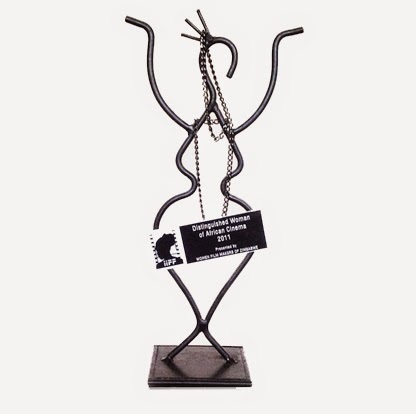 The Distinguished Woman of African Cinema Award was inaugurated by Women Filmmakers of Zimbabwe (WFOZ) in 2007. WFOZ, established in 1996, is Zimbabwe’s leading women filmmaker’s organisation and the oldest functioning film institution in the country. The Distinguished Woman of African Cinema Award is presented biennially to a woman of African descent anywhere in the world who has made and continues to make a significant contribution to the African film industry within any of its areas. The main aim of this award is to focus attention on the need for women of colour, particularly those of African descent, to tell their stories in film. The award is presented at the International Images Film Festival for Women (IIFF). - recognises a filmmaker who opens paths for other women filmmakers of African descent. IIFF is engaging with African Women Development Fund (AWDF) to make it an annual award as the number of African women and women of African descent engaging in cinema, whether practically or in advocacy, is increasing. Musola Cathrine Kaseketi of Zambia, is founder of the Zambian International Film Festival and the first professional Zambian woman filmmaker. Lebo Mashile of South Africa, poet, writer and actress. Nakai Matema of Zimbabwe, the 2009 laureate, has produced, directed, trained filmmakers and was until 2010, the director of the Zimbabwe International Film Festival. Susan Makore has lectured at the University of KwaZulu Natal, South Africa, Zimbabwe Open University and currently the University of Zimbabwe. In addition she is the Managing Director of Mighty Movies Private Limited. Dorothy Meck joined Zimbabwe Broadcasting Corporation (ZBC) as a producer with Radio 4 and later moved to the television department. She has produced and directed over 45 drama series and has mentored young women aspirants on these productions. Beti Ellerson, the 2011 laureate (United States), is the founder and director of the Centre for the Study and Research of African Women in Cinema. Jackie Cahi is a filmmaker, producer and cultural activist from Zimbabwe. Bridget Pickering is a producer and filmmaker from Namibia based in South Africa. 2013: Due to circumstances, there was no competition in 2013. Kenyan-Mexican Lupita Nyong’o, the 2014 laureate, is an Academy Award winner for her role as supporting actress in the film 12 Days a Slave (2013) by Steve McQueen; she is also a filmmaker (In My Genes, 2009). Nigerian Chimamanda Ngozi Achidie is a writer whose 2006 novel Half of a Yellow Sun was adapted for the film of the same name. The rights of her most recent novel Americanah has been optioned by Lupita Nyong’o. 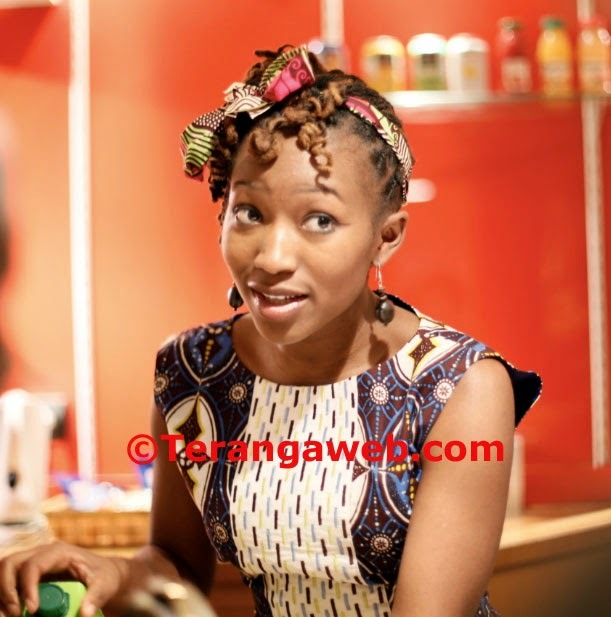 British-Ghanaian Yaba Badoe is a writer and filmmaker. She launched a successful crowdfunding campaign for her film project on acclaimed writer Ata Ama Aidoo. Thank you to Tsitsi Dangarembga, founder and former director of International Images Film Festival for Women, and current Director of the Institute of Creative Arts for Progress in Africa (ICAPA) Trust, who graciously responded to my request for information regarding the origins, history and evolution of the Distinguished Woman of African Cinema Award--Beti Ellerson, August 2014. 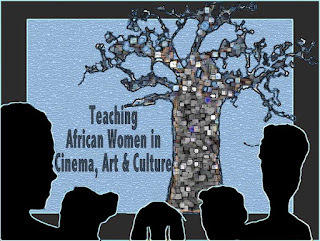 Teaching African Women in Cinema, Art and Culture – Part 3 focuses on introductory sources that frame theoretical and critical practices of interpretation and contextualise women artists’ multiple experiences. A few publications have been available in the last few years that serve as primary texts in the study of African women in cinema, notably the special issue of Journal of African Cinemas: Celebrating 40 years of films made by women directors in francophone Africa and Feminist Africa: African Feminist Engagements with Film, both issued in 2012. My contributions to both journals served as readings for the discussion on theoretical and critical practices of interpretation. In both articles, “Towards an African women in cinema studies” in Journal of African Cinemas, and “Reflections on cinema criticism and African women” in Feminist Africa, I probe the tenets, critical debates and developing trends in what has evolved as a veritable African Women in Cinema Studies. Essential to this discussion is its vital role in the history of African cinema, Women’s Studies and film criticism. In the introductory week of the course, the students presented a short overview of their assigned countries in order to become familiar with or give a review of the historical contexts of the vast continent of Africa. Under the theme, Women Artists’/Filmmakers' Voices the class had a glimpse at historical, political, and cultural events of African societies through the eyes of their women cultural producers, featuring Safi Faye (Senegal), Tsitsi Dangarembga (Zimbabwe), Fatou Kandé Senghor (Senegal) and Rina Jooste (South Africa). The readings included: “Safi Faye: Africa through a Woman's Eyes: Safi Faye's Cinema” by Beti Ellerson, in Focus on African Films (Indiana University Press, 2004) by Françoise Pfaff, interviews with Tsitsi Dangarembga and Rina Jooste, and the translation from French of an autobiographical narrative by Fatou Kandé Senghor. The choice of the women was guided by my interest in highlighting the interdisciplinarity of African women artists’ lives, how they work at the intersection of multiple experiences. Safi Faye is a filmmaker and anthropologist, at the same time she blurs the boundaries of the documentary and fiction. Tsitsi Dangarembga is a filmmaker, writer, cultural activist, and organizer. Fatou Kandé Senghor is a multi-media artist, connecting the borderlines of filmmaking, performance, plastic arts, music—including hip hop. Rina Jooste, a musician turned filmmaker, and in turn historian, brings together these elements to deal with the difficult, storied history of South Africa, and in particular Afrikaner experiences and identities. Students, thus, are exposed to the concept of African women in cinema as an expansive, outward-reaching entity, and from the beginning of the course, experience Africa as a vast continent with plural histories, cultures, languages and identities, and African women artists as complex and multidimensional human beings. Teaching African Women in Cinema, Art and Culture – Part 2 is an elaboration of the course structure, outline and themes. The course began with an overview, contextualizing African women in art, cinema and culture and framing the theoretical and critical discourse on visual representations of Africa and African women. Many of the sources were drawn from my own work in forging an African Women in Cinema Studies, especially because of its accessibility and also because I could engage the students directly with my research process, beginning with my book, Sisters of the Screen: Women of Africa on Film, Video and Television (Africa World Press, 2000), the film Sisters of the Screen: African Women in the Cinema (2002, distributed by Women Make Movies) and the creation of the Centre for the Study and Research of African Women in Cinema, (which I am founder and director) with its public forum, the African Women in Cinema Blog. While the above sources focus broadly on the moving image, I was able to easily integrate them into specific and general discussions on visual art and cultural production. What drew me to “African Women in Cinema” as a study and research focus was its incredibly broad range of discourse and practice. Women on, in front, behind the screen—as makers, producers, scriptwriters, actresses, role models, consciousness raisers, practitioners, technicians, organisers, fundraisers, social media community managers, bloggers, agents of change, activists, advocates, audience builders, cultural producers, cultural readers, and above all, storytellers—they are all part of this notion of “African Women in Cinema” as a conceptual framework. Gendered sensibilities: Male gazes, masculinist/feminist? Structuring the course thematically allowed me to bring together women across disciplines. One of the regrettable downsides to this endeavour, and which I emphasised to the students throughout the course, was that those whose work was accessible, whose presence was visible, who were studied, focused on, talked about, written about, promoted, were the ones who were most likely included as examples—and I consciously avoided any “starification” encouraged by gatekeepers and self-promoters. And of course there is the inherent limitation of the 16-week semester. And thus, my objective was to give visibility to as many as possible, no matter how tiny their (online, researched, written) presence, by a variety of activities and exercises—critical written reflections, research, presentations, panel discussion, simulated exhibition/festival—and above all, by my own acknowledgement and recognition of their work during the class lectures. During the spring 2014 semester I taught a course that I created called, African Women in Art and Cinema. During the next several posts I will share the course description, interactions, projects and the myriad experiences of the students, as well as give my reflections on the course in the context of an emerging African Women Cinema Studies--Beti Ellerson, August 2014. The course explores visual representation, the gaze and African women’s experience with the visual image across artistic disciplines, especially as it relates to image construction and social location. The course probes issues of identity, power, agency, the body, sexuality, race, ethnicity, gender and positionality at the intersection of feminism, postcoloniality, cultural studies and visual culture. The diversity and plurality of African life, history, experience and culture suggests that there is a plurality of African women’s experiences, thus the importance of using an interdisciplinary approach. To better understand African women’s cultural production, it is important to contextualize it within the larger sphere of African history in general, and African cultures in particular. The course explores the history, experiences, tendencies and sensibilities of African women’s artistic practice at the intersection of cultural criticism, postcolonial theory and gender analysis. The course draws especially from continental African women’s cultural discourses. Understanding that Africa is a vast continent with many different languages, social and political histories, geographic and demographic specificities, as well as religious and cultural practices, the course highlights the plurality of African societies. The course explores African cultures, histories and social interactions through the eyes of African women, traversing cinema, material culture, visual culture, sartorial and corporeal practices, music and dance, oral tradition, spirituality, African landscapes and environments, life cycles, African/Western encounters, African diasporas, technologies, resistance and conflicts, African liberation and independences, and the diverse critiques of African societies through their women artists. Central to the goals of the course is to study the particular nature of the diverse African social, cultural, political and economic systems. Thus the course will look at national, regional, continental and international trends and issues. Themes of ethnicity, gender, religion, identity, relocation and diaspora, trauma and conflict—important issues of the first decade of the twenty-first century—identify some significant themes that will inform the course study. This course enables an understanding of the complexity and diversity of African contemporary societies, through the eyes of African women. The course holds transforming potential for the students, and will be useful in their career goal of promoting greater understanding of African women’s role in cultural production, through its inquiry and analyses of the intersecting dynamics and focus on critical questions for study. Ecrans d’Afrique/African Screen was the first pan-African revue of its kind dedicated to cinema, television and audiovisual producers in Africa. Created by FEPACI, the Pan-African Federation of Filmmakers, it was in existence from 1991 to 1998. Women were visible both on the covers and in the pages of the revue. Écrans d'Afrique / African Screen était la première revue panafricaine du genre consacrée au cinéma, à la télévision et à l’audiovisuel en Afrique. Créé par la FEPACI, la Fédération Panafricaine des Cinéastes, il existait de 1991 à 1998. Four women (Caroline Kamya, Sam Kessie, Alamork Marsha, Rungano Nyoni) were among the twelve African finalists selected to present their film projects at Open Doors (9-12 August) at the 67th edition of the Locarno Film Festival. Rungano Nyoni, won the Open Doors Grant and the Prix ARTE International prize for her feature project “I am not a witch”. Congratulations to Rungano, congratulations to all. With the support of the Swiss Foreign Ministry’s Agency for Development and Cooperation (SDC), Open Doors aims to support and highlight filmmakers from a region in the world’s South and East where independent cinema is vulnerable. Open Doors encourages the provision of funding for the selected projects, giving their representatives the opportunity to present them to international producers. Fiction-Mirror-Reality and vice versa: The case of Nollywood, an Interview with Shari Hammond by GAYLOR LUKANGA FEZA, 6 August 2014 for TERENGAWEB.COM. Photo: Terengaweb.com. Translation from French by Beti Ellerson. Shari, our Ghanaian-Ugandan sister who for professional reasons lives between her two countries, once settled in, took the time to dedicate a few moments. I borrow a few words from this polyglotte from the languages ​​she speaks perfectly to wish you mukulike (Luganda) tusemerirwe kukulora (lutooro) akwaaba (twi and ga), wilkommen (German), bienvenue (French), welcome to an experience - that of an African woman, educated, professional, world traveller, intelligent, as I was told by an honorary ambassador speaking of her: welcome to a reality that is not fiction. For the record, this is the continuation of my article released Sunday, 6 July. An article in which I talked with you via an interview with Serge Noukoue, during the second edition of the Nollywood Week Festival that took place from 5-8 June at the Parisian cinema l'Arlequin. This event was an opportunity to “tie myself in knots”, in the words of another friend, wanting to analyse the interpenetration between fiction and reality. While waiting to share with you my deep thoughts, please find in the following paragraphs my e-interview with Shari Hammond, in charge of partnerships for the association Okada Media, which organizes the Nollywood Week Festival. Gaylord Lukanga Feza: Shari, what is your background? Your story? Your relationship with the creative industries? Shari Hammond: I studied international law with a focus on Africa. I have always liked to gain knowledge through reading, going to exhibitions and discovering different artists. I was very curious about the different African art scenes so I became involved with the online journal of contemporary African art, Afrikadaa. Later in 2011, I met Serge and the other co-founders of Nollywood Week. Recently, I've been able to work with “Writivism”, a literary arts festival in Uganda. For me, to promote, stimulate and develop African creative industries, whether visual arts, publishing or cinema, is a necessity, because it contributes to the cultural pantheon and to the country’s economic growth. GLF: Has your training been useful in your present activities? SH: My legal training has given me discipline and organization in my activities, for instance, it is easier for me to read and write partnership and other contracts. Or, still, to study the various options and to ensure legal action. GLF: What advice can you give to those who would like to work in the creative industries, and to avoid certain pitfalls? SH: I would say that one must dare to roll up her sleeves and get to the task as soon as she has a vision of what she wants to accomplish. Having an idea is good, but a vision is better. The vision is the road map that will allow any cultural entrepreneur to avoid faltering in times of trouble, which exist in any business. This kind of industry unfortunately suffers from a lack of funding and it is even more difficult in Africa. One must connect with the right people: those who believe in your project and are ready to invest in it morally and financially. GLF: How do you choose your partners? I am thinking of Total who supported this event, and l'Arlequin who again opened its door. 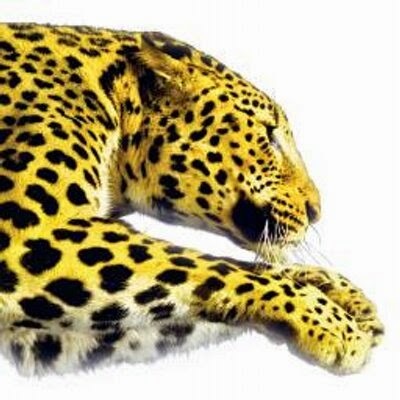 SH: We like to work with people who offer quality products and services to an African audience or who do outreach to Africa. People who are aware of the potential and evolution, as well as the developments taking place on the continent. The people, the supporters who promote this Africa. We are not restrictive in our collaborations. We want to encourage long-term relationships with establishments that have proven themselves and that do not compromise on quality and that respect their clients. Our meeting with Total was organised by our partners, the France-Nigeria Association in 2013. Since then, we have been engaged in many discussions in order to better understand our mutual values ​​and visions. The Total Foundation has decided to support us again this year because of our contribution to intercultural dialogue and because we create innovative access to new audiences. The Cinéma l’Arlequin, an emblematic space in the heart of Paris, gave us an opportunity with the first edition and we gain their confidence after this first success. Their support throughout the preparation to the culmination of the Festival was very important to us and we continue to thank them for it. GLF: How will the proceeds of the festival be used? SH: One thing to note is that festivals of this magnitude have not yet turned over a profit. The little money raised will be used for the preparation of the next edition and the related activities of Okada Media, the association that organises the Festival. GLF: During my attendance at the Saturday event of the Festival, I could feel the enthusiasm of the public. Many were those who came only to find “session sold out”, even for the following day. For those who were unable to attend the festival or to gain access to the different sessions, will they be able to view these films? SH: In fact, like most festivals, it is best to clearly identify the screenings that one wants to attend and get the tickets as soon as possible. Many sessions were sold out and we are delighted. This festival was able to offer premieres for films that are inaccessible in France, and the audience who was present gave testimony of their interest and desire to see more films from the Nigerian industry. Our greatest wish, as well as those of the directors and producers who were present at the festival, is to have these films available on as many platforms as possible. Partners such as Canal+ and TV Nollywood envision the acquisition of rights to broadcast some of these films. We shall wait and see. GLF: If you were to change anything for this edition 2014, what would it be? SH: Tough question! The challenges are only there to make us grow and to learn from it. I would emphasise perhaps more communication, especially to encourage filmgoers to get their tickets even before the Festival or the “Early Bird” specials, as we have already done. GLF: Can one already make a rendezvous for next year? Yes, you may now sign on for next year with, hopefully, more films that will move you, and more meetings with the makers of Nollywood. GLF: Through its technique and means of distribution, cinema provides us with images and sounds that depict a living picture, imitating or characterising reality. 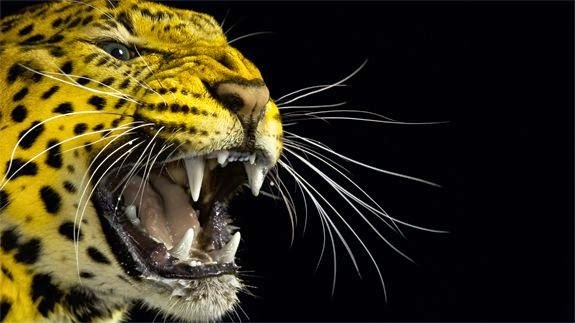 What do you think is the role of those who create these images? SH: Cinema is aptly nicknamed the 7th art. Cinema is an art, it is there to sublimate, reveal, or portray or adapt a reality. The artist, in this case the director or producer, has the duty to follow her/his own ambition and vision, even if that art is a major vector of influences that we cannot ignore. And it is for this reason that there will always be more or less direct messages in the films. In my opinion, the role of the makers is not to achieve a specific task, but to do what they do with zest and enthusiasm, ultimately leaving their mark by continuing to inspire. GLF: Shari Hammond, thank you. Interview by GAYLORD LUKANGA FEZA of the Congo, diploma in Accounting and Management for Terengaweb.com. 6 August 2014. Translation from French by Beti Ellerson. African women's classic and contemporary films will be featured at the Open Doors Screenings of the 67th Edition of the Locarno Film Festival (6-16 August). Open Doors in a non-competitive section of the Festival whose objective is to introduce the Festival audience to the cinematographic and cultural landscape of the chosen region. This year Open Doors covers the following countries in Sub-Saharan Africa: Angola, Botswana, Cape Verde, Eritrea, Ethiopia, Gambia, Ghana, Kenya, Lesotho, Liberia, Malawi, Mozambique, Namibia, Nigeria, São Tomé and Príncipe, Sierra Leone, Somalia, South Africa, South Sudan, Sudan, Swaziland, Tanzania, Uganda, Zambia, Zimbabwe. 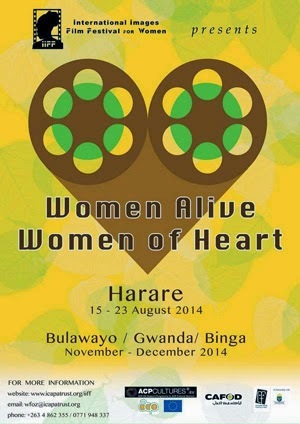 International Images Film Festival for Women 2014 (Harare) runs from 12 - 23 August under thee theme Women Alive: Women of Heart.